In the course of just a few hours, the seeds have been planted for a major upheaval in personal computing. Hot on the heels of Microsoft’s announcement that Windows 8 will support ARM processors, graphics chip maker Nvidia has revealed that it is developing a full lineup of ARM processors. “Project Denver” will include CPUs for desktops, laptops, servers, and supercomputers and is an all-out assault on Intel’s PC market dominance. In the past, Nvidia has licensed ARM cores for its Tegra and Tegra 2 smartphone/tablet chipsets (see here for more info), but with this announcement, Nvidia aims to turn itself into a full-fledged System-on-a-Chip (SoC) architecture designer– a major upgrade. The firm will integrate graphics chipsets into its CPUs, as Intel and AMD have done recently. 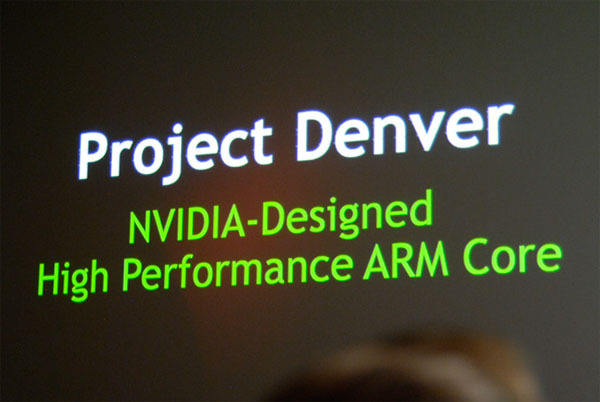 The single most important factor that makes Project Denver significant, however, is Microsoft’s announcement: no longer being limited to just x86 chips (which Nvidia could never get a license from Intel to produce), Windows 8 PCs will be able to run on Nvidia’s processors without issue. Read on for more about Nvidia’s new CPU project. Nvidia and Microsoft’s moves may signal the beginning of the end of the “Wintel” era, and Intel is all but sure to see its market share significantly eroded in the years to come. Intel, however, is never one to count out of a race, and it fully understands that ARM is its next big competitor.